AppsFlyer is able to send attribution data to FOCUUS for both install and in-app events. This article is intended for Ad-Networks who are using FOCUUS platform and would like to integrate with AppsFlyer's NativeTrack™ solution. 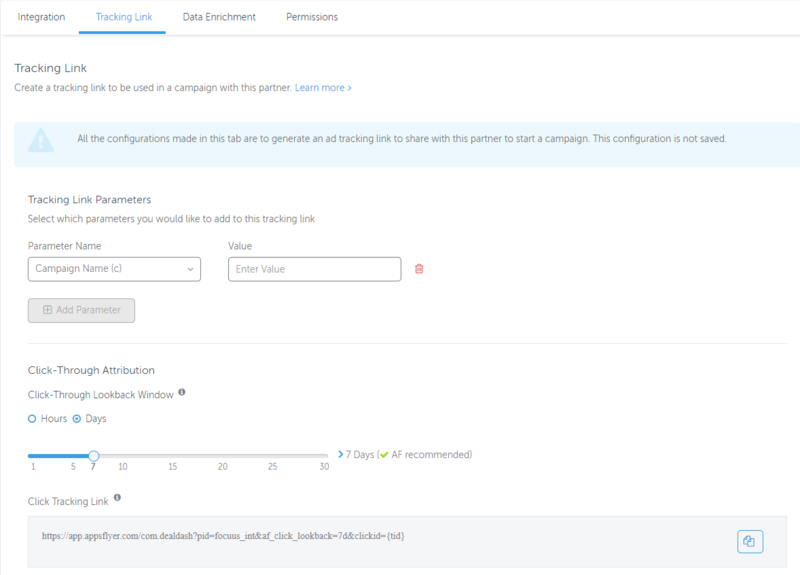 To start the integration you must send AppsFlyer both the tracking link and the postback for reporting purposes. ** For a complete list of AppsFlyer parameters click here. ** FOCUUS allows unlimited number of macros and you can name them as you wish, click here. *This tracking link is set on your FOCUUS campaign’s destination. Create new event (Install and any other in-app events). Generate pixel (postback) for implementation. Copy the postback URL that appears in the box labeled Server2Server Pixel.